The whole painting, full composition, dense and delicate, with bold brush, fresh and elegant style, lotus extraordinary refined, vibrant, flourishing beauty and implication, make people imaginative and endless aftertaste. Especially its sophisticated skills and old and hot techniques, in the simple and beautiful, free and easy in the meticulous, in the smooth implied meaning, it is praised and convincing. 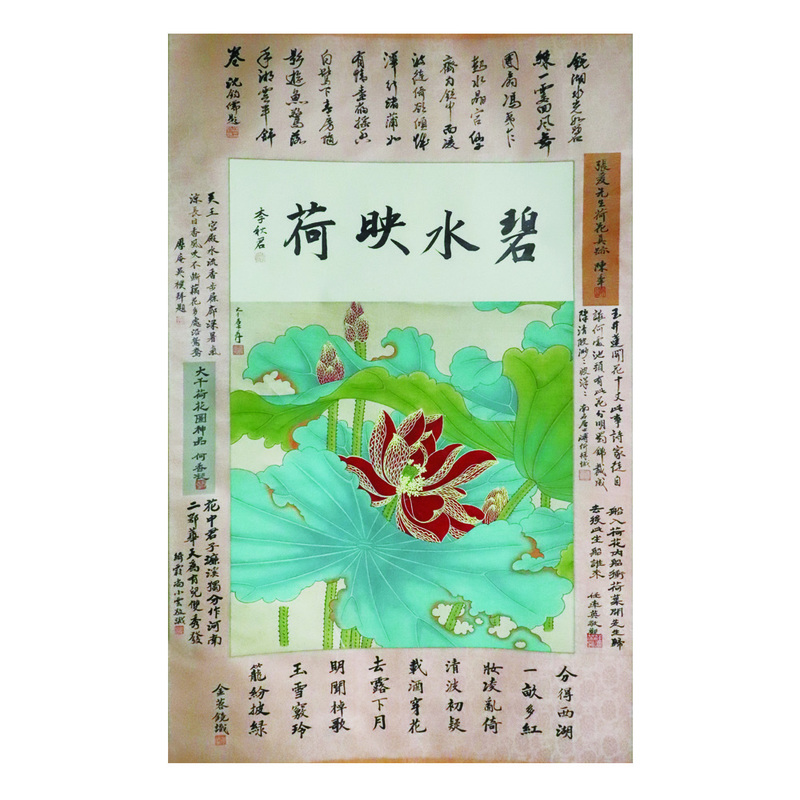 Zhang Daqian loved lotus and painted lotus countless in his life. He praised his nobility by describing lotus with "the wind of a gentleman, its calmness". Zhang Daqian broadened the artistic conception of flower painting, which can be called the rebirth of Chinese color. The inscriptions of He Xiangning, Li Qiujun, Shen Junru, Shang Xiaoyun, Jinrong Jing, Ren Piying, Pu Ni, Chen Yu, Wu Pu and other nine people are also attached to this painting, which makes this masterpiece more precious and is the only handed-down treasure in the world!